Imagine a patient who is 60 and recovering from breast cancer. She was treated with surgery, chemotherapy and radiotherapy six months ago. Sent home with a hormonal treatment, she was told to take the tablets once a day for the next five years. Since starting the letrozole tablets, she has had night sweats, hot flushes and headaches. Her GP, although ‘very nice’, doesn’t want to discuss her medication with her, as this is related to her cancer, which ‘the hospital treated’. She tells you she’s unlikely to continue with her medication for much longer: ‘Why spoil the last good five years of my life?’ How would you respond? Medication is the most common intervention in health care. Community pharmacies dispensed over a thousand million prescribed items in England in 2015; an average of 20 items for every person. Scotland and Northern Ireland had a similar average, with Welsh pharmacies dispensing 26 items each. This is perhaps to be expected: medication is used to treat or manage a range of conditions, particularly in our increasingly elderly population. In addition, a number of guidelines encourage doctors to prescribe medicines to prevent illnesses; for example, lipid-lowering medication to reduce the risk of stroke or heart attacks. Medicines for conditions affecting the mind and the nervous system (e.g. mental health) cost the most, followed by conditions affecting the endocrine (e.g. diabetes), respiratory (e.g. asthma), and cardiovascular (e.g. high blood pressure) systems. Items dispensed in England in 2015 had a net ingredient cost of £9266.6 million. Yet people commonly fail to take their dispensed medication as instructed. What progress are psychologists making in understanding and tackling medication-taking behaviour? We are going to use the term medication adherence when referring to medication-taking behaviour – instead of medication compliance, which carries a negative inference of passive obedience (Sabaté, 2003). Medication adherence is about how the patient takes their medication compared with the instructions on their prescription. There are three stages to adherence. The first is the initiation stage – does the patient take the first dose as prescribed? Next is the implementation stage, which is ‘the extent to which a patient’s actual dosing corresponds to the prescribed dosing regimen, from initiation until the last dose is taken’. The final stage is the discontinuation stage, which is whether the patient takes the last dose as prescribed (Vrijens, et al., 2012). Another key term is persistence, which is the length of time between the initiation stage and the discontinuation stage. A patient can be non-adherent to their medication regimen if they fail to collect and take their medication on time, if at all (described as primary non-adherence); if they don’t follow the dosing regimen during the implementation stage (secondary non-adherence); and if they discontinue the course early (non-persistence). One other term for us to consider is concordance. It describes a medical consultation process whereby the prescriber and patient agree therapeutic decisions that incorporate both views. The term also encompasses prescriber communication and patient support in medicine taking (Horne, et al., 2005). direct methods (e.g. biochemically measuring the amount of drug in the patient’s body, or placing a microchip inside the medication form). None of these is a perfect instrument for quantifying non-adherence (Dodds et al., 2000). And what are suitable benchmarks anyway? The proportion of prescribed drug taken, days with correct number of doses, doses taken on time, the number of drug holidays (Vrijens et al., 2012); this heterogeneity in measurement means it is difficult to accurately compare adherence between different conditions. However, we can draw on a useful US study that compared adherence and persistence across six chronic medication classes using one methodology. It found variable but uniformly suboptimal use with medication prescribed for diabetes (mean 12-month adherence rate 72 per cent), overactive bladder (35 per cent), cholesterol (61 per cent), cardiovascular disease (66 per cent), osteoporosis (60 per cent), and glaucoma (37 per cent) (Yeaw et al., 2009). Patients are also known to be non-adherent in all sorts of other chronic conditions, including HIV, arthritis, gastrointestinal disorders, cancer, pulmonary disease, mental health disorders and epilepsy (DiMatteo et al., 2002; Sabaté, 2003). When people don’t adhere to their medication, this can reduce the clinical benefit of the medication and in turn affect the patient’s quality of life. 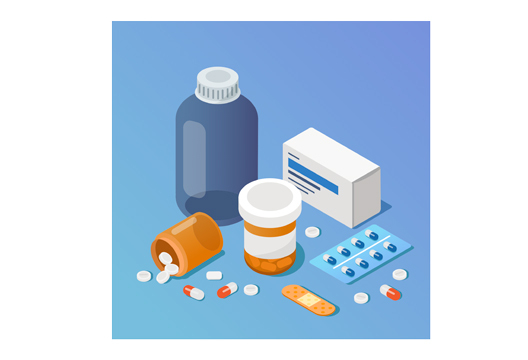 Medication non-adherence affects health systems by increasing the burden of ill health, medicines waste, hospitalisation and emergency admission (DiMatteo et al., 2002; Simpson et al., 2006). In the long run, we’re talking life and death. It’s tempting to view medication non-adherence as either unintentional (e.g. due to forgetfulness or carelessness) or intentional (e.g. not believing in the treatment), but this is an over-simplification. People’s beliefs can also predict unintentional non-adherence (Gadkari & McHorney, 2012). One psychological model of medication adherence is the Necessity–Concerns Framework, which concentrates on intentional non-adherence. At its heart is the idea that patients’ commonsense beliefs about prescribed medicines can be captured and categorised according to necessity beliefs – perceptions of personal need for treatment – and concerns about a range of potential adverse consequences. If necessity beliefs outweigh concerns, then you should have intentional adherence. Rob Horne and John Weinman’s associated Beliefs about Medicines Questionnaire quantifies these aspects. Other tools for screening non-adherence across chronic diseases also exist (George et al., 2006; Hahn et al., 2008; McHorney, 2009; Svarstad et al., 1999; Willey et al., 2000). However, practitioners as a whole have not adopted any of these tools widely in practice. Non-adherence remains a complex and unresolved problem. Reasons for non-adherence are multifaceted and not easy to categorise, including: the severity of the disease and whether symptoms are present; patients’ perception of their condition and sense of vulnerability; their concerns about medication side-effects and long-term consequences; their knowledge about a medicine’s mechanism of action and their health literacy in general; the complexity of the regimen; forgetfulness; fear of dependence; and so on (Kardas et al., 2013; Pound et al., 2005; Vermeire et al., 2002). A 2014 Cochrane review led by epidemiologist Robby Nieuwlaat examined 182 randomised controlled trials of interventions. Only five of the 17 identified studies reported improvements in both adherence and clinical outcomes; three improved only adherence outcomes, one improved only clinical outcomes, and the remainder did not improve adherence or clinical outcomes. They found no study that led to large improvements and also found no obvious common study characteristics. The most robust designs generally involved complex interventions with multiple components, where healthcare professionals (e.g. pharmacists) gave ongoing tailored support, often delivering intense education/counselling (including motivational interviewing or cognitive behavioural therapy by professionals) or daily treatment support (or both), and sometimes there was additional support from family or peers. However, the reviewers could not make a judgement about which intervention type was most effective because of the diversity and complexity of the studies (e.g. the variety of settings, participants, intervention types, medications, adherence measures and clinical outcome). The European ABC project also reviewed RCTs but included only studies where researchers had assessed adherence by electronic medication-event monitoring. This consists of an automatic, electronically compiled drug-dosing history for each patient (Demonceau et al., 2013). The reviewers found statistically significant increases in adherence when the intervention included feedback to patients using electronic monitoring or involved a cognitive-educational component. To elaborate, electronic monitoring was followed by a focused discussion giving feedback to the patient of their recent dosing history data, as a guided example of behavioural counselling. Cognitive-educational interventions presented information individually or in a group setting, orally, in written form and/or audiovisually, in order to educate and motivate patients. The rationale is that patients who understand their condition and its treatment will be more informed, more empowered and more likely to adhere. The ABC’s systematic reviewers also examined and reported on intervention components (Demonceau, et al., 2013). Such approaches seemed more effective than treatment simplification, behavioural-counselling interventions, social-psycho-affective interventions, technical reminder systems, or providing technical equipment for disease monitoring. None of these techniques demonstrated clinical significance. Yet other research suggests a complex and conflicting picture. For example, a 2007 review led by Kripalani found the most effective interventions to be those that simplify dosing demands, as well as those involving monitoring and feedback, and multisession informational trials. Others (e.g. van Dulmen et al., 2007) have also concluded that simplifications of dosage and packaging can be effective. So, ‘more research is needed’? Perhaps. But another view is that the factors of non-adherence are so complex that no single intervention or package of interventions could ever be effective across all patients, conditions and settings. We should instead focus on a client-centred approach to adherence – let’s listen to our patients and address their concerns. Patients should be encouraged to become involved in the conversation, asking open-ended questions to uncover their concerns. Specifically, the health professional should explore what the patient hopes a new treatment will achieve and their views and concerns about the medication, and discuss the condition and how the medication will influence this, including the pros and cons. They should accept that the patient ultimately has the right to decide not to take the medication. Health professionals should also be aware that the patients might want to discuss a range of issues, such as what happens if they are non-adherent, how they might reduce or stop longstanding medication, and how to make a choice between which of different medications to take. In due course, health professionals should assess the patient’s adherence to their medication by asking, in a non-judgemental way, about their medication taking, for example whether in the past week they have missed any doses. If the patient is not adhering to their medication, health professionals should tailor any intervention to the individual; if side-effects are a particular problem for the patient, then health professionals should allow them to make an informed choice about how to deal with these by discussing the benefits as well as the side-effects of the medication. The dose taken may need to be adjusted, the medication switched to another drug, or a different strategy might be needed, such as changing the timing of when the medication is taken. NICE published another relevant guideline, in 2015, on medicines optimisation: ‘a person-centred approach to safe and effective medicines use, to ensure people obtain the best possible outcomes from their medicines’. This guideline recommends carrying out medication reviews, as well as using self-management plans and patient decision aids during medicines-related consultations. Healthcare professionals completing medication reviews as part of medicines optimisation are asked to take into account the patient’s (and family members’ or carers’, where appropriate) views and understanding about their medicines as well as concerns, questions or problems they have with their medicines. Both of the NICE guidelines cited here are directed at health professionals who have competent knowledge and expertise about prescribing and medicines, such as doctors, nurses and pharmacists. But these health professionals often lack the psychological know-how that underpins behaviour-change practices. One reasonable proposal to address this gap would be for closer, multidisciplinary working to better support patients with their medication needs. How do these guidelines help us respond to the 60-year old female whose case was outlined at the start of this article? There are a number of issues to consider. It is clear that the patient is experiencing side-effects that she considers to be detrimental to her quality of life. In addition, she has been unable to discuss her concerns with her GP, who she considers has no interest in her cancer treatment. These concerns are likely to lead the patient to become ‘non-persistent’ with her medication, discontinuing the course of treatment early without first exploring her concerns with a health practitioner. The initial action, then, is to have a client-centred discussion with the patient in order to further explore her beliefs about the medication, its benefits and also the extent of concerns she has with the side-effects. A practitioner psychologist would need to communicate with the other professionals involved in this patient’s care, for example the GP, in order to explain the patient’s beliefs, concerns and preferences, and suggest a medication review. During a medication review the patient may agree for her medication to be switched to another hormonal treatment or she may decide with the GP to stop taking the medication altogether. The key is an approach that allows an open discussion and joint decision about the medication to be reached with the patient. Much progress remains to be made. Future research, for example, could examine the specific detail of a successful client-centred approach using methodology such as conversation analysis. The rapid advent of technology-enabled adherence services too provides considerable opportunity for innovation. Currently, the best opportunity for providing adherence-focused conversations, however, is at the point of prescribing and dispensing medication. Therefore, there is strong justification for asking the British Psychological Society and the different medical, pharmacy and nursing professional representative bodies to work together to improve the psychological know-how of the wider group of professionals in the field. Demonceau, J., Ruppar , T., Kristanto, P., Hughes, D., Fargher, E., Kardas, P., . . . Vrijens, B. (2013). Identification and Assessment of Adherence-Enhancing Interventions in Studies Assessing Medication Adherence Through Electronically Compiled Drug Dosing Histories: A Systematic Literature Review and Meta-Analysis. Drugs, 73(6), pp. 545–562. DiMatteo, R., Giordani, P., Lepper, H., & Croghan, T. (2002). Patient Adherence and Medical Treatment Outcomes: A Meta-Analysis. Med Care, 40(9), pp. 794-811. Dodds, F., Rebair-Brown, A., & Parsons, S. (2000). A systematic review of randomized controlled trials that attempt to identify interventions that improve patient compliance with prescribed antipsychotic medication. Clin Eff Nurs, 4(2), pp. 47-53. George, J., Mackinnon, A., Kong, D., & Stewart, K. (2006). Development and validation of the Beliefs and Behaviour Questionnaire (BBQ). Patient Educ Couns, 64(1-3), pp. 50-60. Hahn, S., Park, J., Skinner, E., Yu-Isenberg, K., Weaver, M., Crawford, B., & Flowers, P. (2008). Development of the ASK-20 adherence barrier survey. Curr Med Res Opin, 24(7), pp. 2127-2138. Horne, R., Weinman, J., Barber, N., Elliott, R., Morgan, M., Cribb, A., & Kellar, I. (2005). Concordance, adherence and compliance in medicine taking: Report for the National Co-ordinating Centre for NHS Service Delivery and Organisation R & D (NCCSDO). Brighton: Centre for Health Care Research. Jackson, C., Eliasson, L., Barber, N., & Weinman, J. (2014). Applying COM-B to medication adherence: A suggested framework for research and interventions. The European Health Psychologist, 16(1), pp. 7-17. Kripalani, S., Yao, X., & Haynes, B. (2007). Interventions to Enhance Medication Adherence in Chronic Medical Conditions. Arch Intern Med., 167(6), pp. 540-549. doi:10.1001/archinte.167.6.540. NICE. (2009). Medicines adherence: involving patients in decisions about prescribed medicines and supporting adherence. National Institute for Health and Care Excellence. NICE Medicines and Prescribing Centre. (2015). Medicines optimisation: the safe and effective use of medicines to enable the best possible outcomes. Manchester: National Institute for Health and Care Excellence. Pound, P., Britten, N., Morgan, M., Yardley, L., Pope, C., Daker-White, G., & Campbell, R. (2005). Resisting medicines: a synthesis of qualitative studies of medicine taking. Soc Sci Med, 61(1), pp. 133-155. Sabaté, E. (2003). Adherence to long-term therapies: Evidence for action. Geneva: World Health Organisation. Simpson, S., Eurich, D., Majumdar, S., Padwal, R., Tsuyuki, R., Varney, J., & Johnson, J. (2006). A meta-analysis of the association between adherence to drug therapy and mortality. BMJ, 333(15). Svarstad, B., Chewning, B., Sleath, B., & Claesson, C. (1999). The Brief Medication Questionnaire: a tool for screening patient adherence and barriers to adherence. Patient Educ Couns, 37(2), pp. 113-124. Vermeire, E., Hearnshaw, H., Van Royen, P., & Denekens, J. (2002). Patient adherence to treatment: three decades of research. A comprehensive review. J Clin Pharm Ther, 26(5), pp. 331-342. Vrijens, B., De Geest, S., Hughes, D., Przemyslaw, K., Demonceau, J., Ruppar, T., . . . for the ABC Project Team. (2012). A new taxonomy for describing and defining adherence to medications. Br J Clin Pharmacol, 73(5), pp. 691–705. Willey, C., Redding, C., Stafford, J., Garfield, F., Geletko, S., Flanigan, T., . . . Caro , J. (2000). Stages of change for adherence with medication regimens for chronic disease: development and validation of a measure. Clin Ther, 22(7), pp. 858-871. Yeaw, J., Benner, J., Walt, J., Sian, S., & Smith, D. (2009). Comparing Adherence and Persistence Across 6 Chronic Medication Classes. J Manag Care Pharm, 15(9), pp. 728-740.